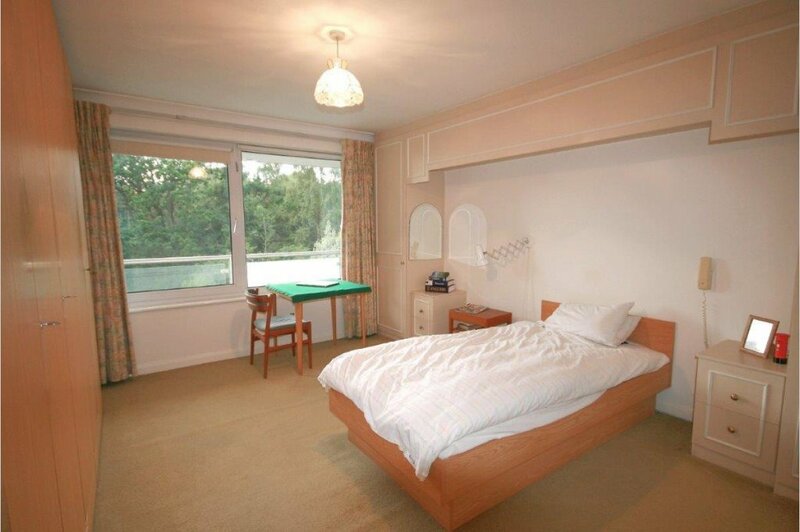 Mays of Westbourne are delighted to be instructed on this third floor, purpose-built apartment located in Alum Chine. 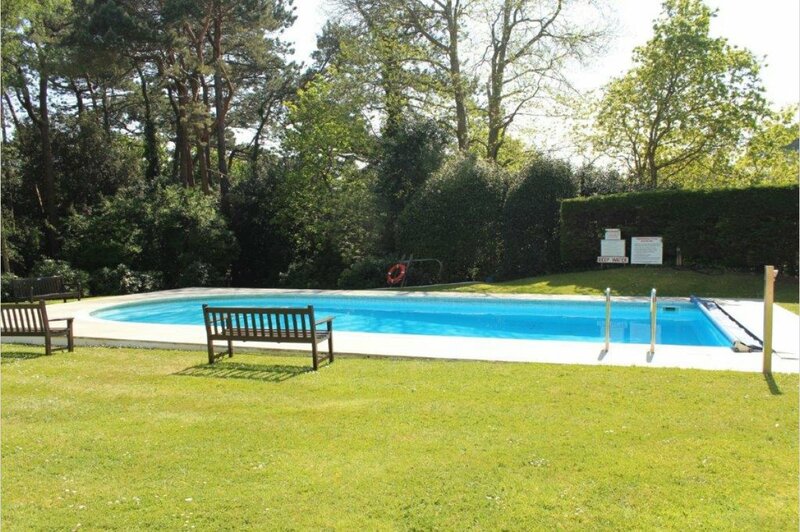 The development is situated off a quiet road and features its own private heated outdoor swimming pool. There is also a little known pathway which provides direct access to Branksome Dene Chine and the famous blue flag sandy bathing beaches. The property is located a short walk of Westbourne village with its trendy bars, cafes and exclusive shops. Set approximately midway between the town centres of Poole and Bournemouth the property is ideally located to take full advantage of the areas renowned shopping and leisure facilities. The Bournemouth Wessex Way is close at hand giving direct access to the M27 motorway with mainline fast train routes from either Branksome or Bournemouth railway stations connecting to London Waterloo. The apartment is situated on the third floor and is accessed via a secure entry system and either stairs or lift service. Once inside, accommodation includes a welcoming and spacious entrance hall with an airing cupboard and an additional �walk in� storage cupboard which was previously a cloakroom. An impressive lounge/dining room looks to the rear. Sliding patio doors lead onto a spacious 27� (approx.) balcony ideal for Alfresco dining and entertaining with delightful views onto Branksome Dene. The Kitchen window enjoys a pleasant outlook to Sandbourne Road. This room would benefit from a re-fit. There is currently a good range of floor and wall mounted storage cupboards with ample work surfaces a single drainer double bowl sink unit. Bedroom One has an excellent range of floor to ceiling wardrobe cupboards with hanging and shelving space, two matching bedside storage units and a view to the rear aspect offering pleasant views over Branksome Dene Chine. The En-Suite Bathroom is fully tiled, with a bath, pedestal wash hand basin and W.C. 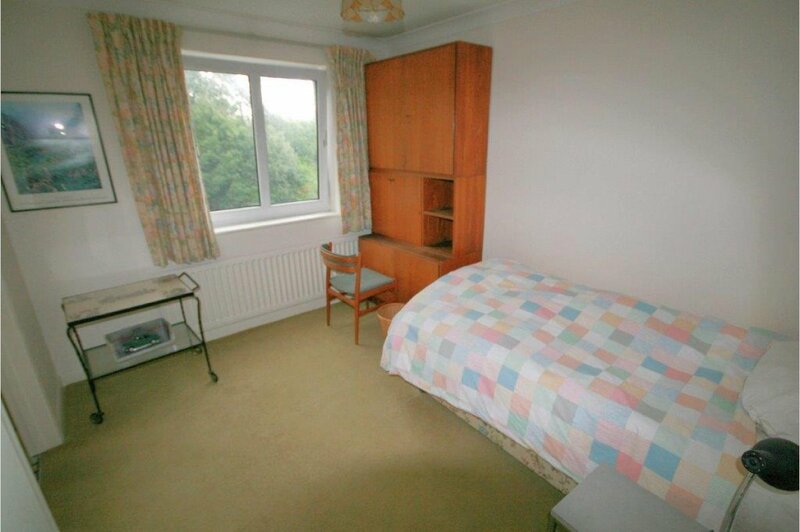 Bedroom Two overlooks the front and has built in wardrobes. 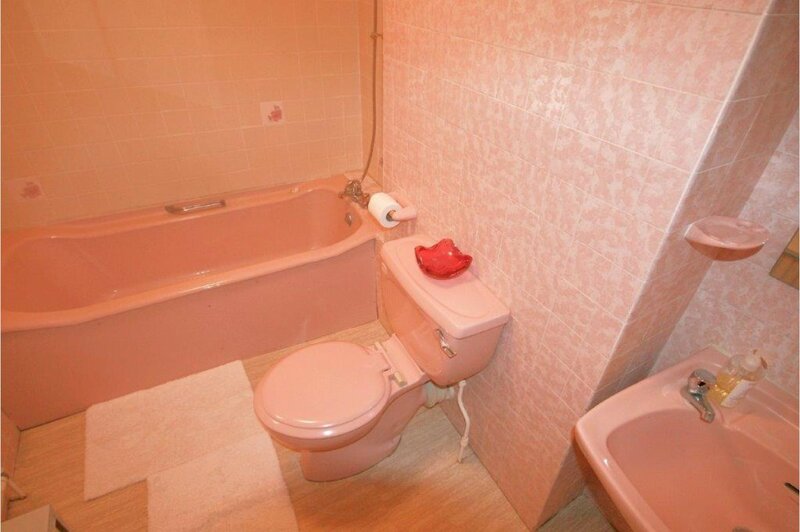 This room also has an En-Suite Bathroom with bath, pedestal wash hand basin and WC. Outside: Viewpoint has stunning communal gardens with car park and visitor spaces. A communal swimming pool is considered a feature of this development and proves very popular with residents in the spring and summer months. Residents also benefit from an underground car park where Flat 5 has an allocated space.